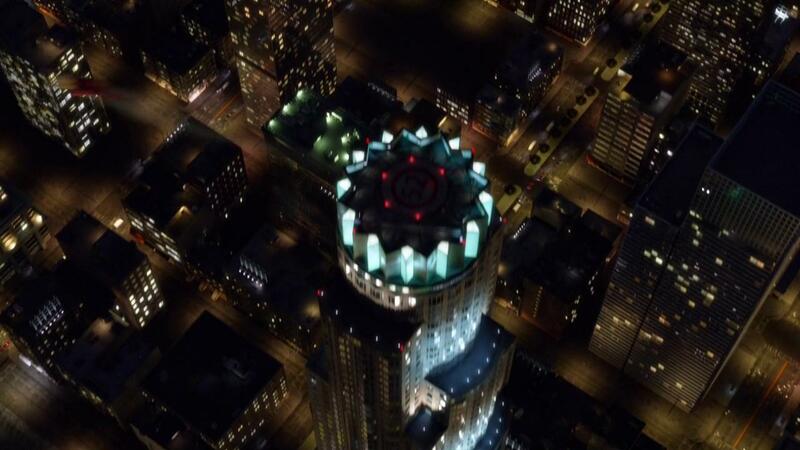 I saved this screenshot from the 5th episode of season 1 of Supergirl and I was wondering, is the a nod to the new 52 or just a coincidence? It is most likely a nod and not a coincidence, simply because there are too many such cameos by the number 52 in all Berlanti DC comic TV shows. The number shows up in Arrow, The Flash and, as noted by the OP, also in Supergirl - and will therefore probably also pop up in the upcoming DC's Legends of Tomorrow. at least one of their news choppers does, as Barry runs across its blades in the season 2 winter finale (The Flash - 2x09). The characters themselves share some characteristics from their New 52 counterparts (while of course ignoring others to make it fresh and fitting for the medium). So while I could not (yet?) find a quote by anyone from the production actually confirming those numerous occurences to be nods, they are way too numerous to be conincidental, so the MythBusters would probably call it Plausible, I'd go further and say: most probably yes. Not the answer you're looking for? Browse other questions tagged reference arrowverse supergirl . What is the reason for these 10-second gaps? Is the Supergirl/Flash crossover understandable enough without watching the whole first season of Supergirl? Why doesn't Supergirl enlist Superman's help when all humanity is threatened in the season 1 finale? Do the showrunners consider Supergirl and Constantine to be part of the Arrowverse? Why is Kara Zor-El called Kara Danvers and not Linda? How did the Master Jailer attack Supergirl in Episode 14? Can time really slow down due to earth revolution?